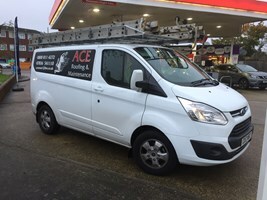 Ace Roofing & Maintenance - Roofer based in Woodley, Berkshire. My name is John and I have worked as a roofer and builder for over 20 years. We are a family run business and can take on the following work and more. Lead work and Lead flashings. Gutters cleaned / Moss removed. Ridge tiles repaired or replaced. Chimney Cowls and Bird guards. So from a leaky gutter to a complete new roof we can do it all at Ace Roofing & Maintenance. For peace of mind we are fully insured and all our work comes guaranteed.